Ruby is an accomplished human resource management and leadership development professional whose experience spans the private and public sectors. Certified as a teacher and an Associate of the Canadian Institute of Bankers, Ruby holds a BSc. Degree in Management Studies and Psychology from the University of the West Indies, Mona Campus, Jamaica, a M.Sc. degree in Training and Human Resource Management from the University of Leicester, United Kingdom, and a Ph.D. in Leadership and Change from Antioch University, USA. 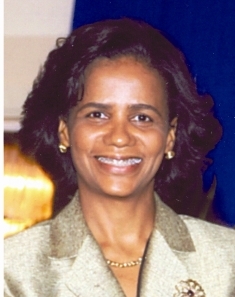 Throughout her 16 years of service to the Jamaican public sector, Ruby has served in several strategic leadership positions, including Director of Learning, Director of Human Resource Management and Communications, and her current role as Chief Executive Officer. She is committed to elevating and empowering the value of human resources and to building the management and leadership capacity of the public sector. She believes that her dissertation offers some useful insights for a holistic and transformative change in the practice of public service leadership in the Caribbean toward engendering the change Caribbean countries need to transform, develop, and grow. 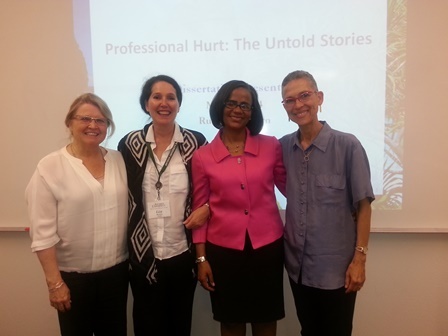 Brown, Ruby Macksine, "Professional Hurt: The Untold Stories" (2014). Dissertations & Theses. 132.